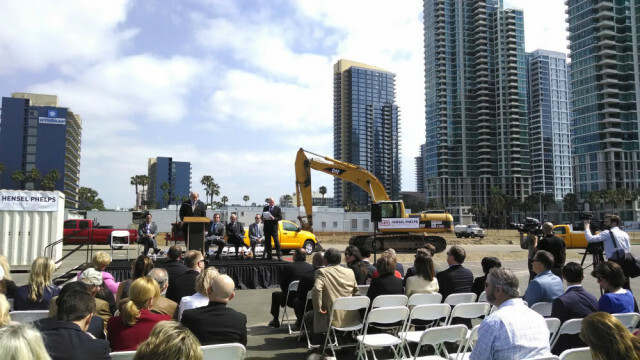 The Port of San Diego and developer Portman Holdings broke ground Thursday for twin hotels on the old Lane Field property, where the minor-league San Diego Padres once played, on the downtown waterfront. When completed in early 2016, the facility will include a 253-room SpringHill Suites by Marriott and a 147-room Residence Inn by Marriott at the corner of North Harbor Drive and West Broadway. Also included will be around 27,000 square feet of retail space, parking for more than 400 vehicles and a 1.6-acre public park with the original baseball diamond outlined with lights. 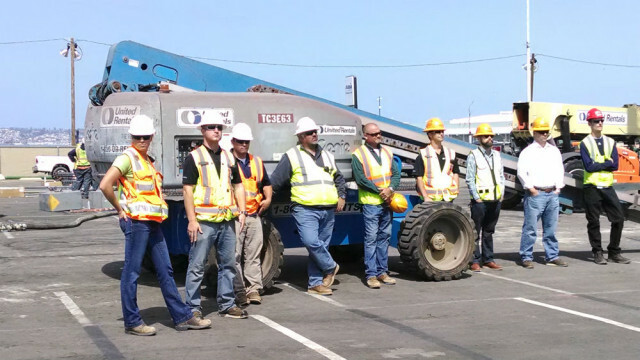 “We’re pleased to be starting on this next great addition to the San Diego waterfront,” said Portman Holdings’ Roger Zampell at a ceremony. City Council President Todd Gloria said the project, a decade in the making, is important for development of the waterfront. “This and other great projects are coming together to create the waterfront of our dreams,” he said, referring also to the county’s Waterfront Park opening Saturday. The minor league Padres played in a wooden ballpark on the site from 1936 to 1957, but the property has recently been a parking lot. Port Commissioner Bob Nelson said there was an “echo of history” in the fact that the old ballpark was build at the height of the Great Depression and provided badly needed local jobs at the time. Portman Holdings previously developed the San Diego Hilton Bayfront near Petco Park.